This is the last post about Disney! So, to wrap up the Disney talk, I must mention my favorite rides. Personally, I feel this park is more of a Zoo. It is great, but it just doesn’t have that YOU ARE AT DISNEY WORLD magic feeling. Of course that is my personal opinion. The only two rides I MUST do are Expedition Everest and the Kilimanjaro Safari. There aren’t very many rides at Epcot, truthfully, but my three must-do things are Soarin’, Test Track, and Finding Nemo. Soarin’ always has a line, and it feels like it won’t be worth it UNTIL you are smelling the pine and the oranges… then it’s worth it. I will never forget going on this ride with my Grandma, hearing her freak out (mostly because she hates flying), and my grandpa exclaiming “DO YOU SMELL ORANGES? !” This trip was my first time doing Test Track… so naturally I did it like 3 or 4 times. Finding Nemo is soo soo good. I have a fascination (and a little fear) with the ocean creatures… and this ride’s exit is through an aquarium with DOLPHINS and MANATEES. Honestly, enough said. There is just SO MUCH to love at Hollywood Studios. I like almost every ride… but narrowing it down to the MUSTS are Star Tours, Toy Story, The Great Movie Ride. If I could only do three things at Hollywood Studios, these would be the three. The Rockin’ Rollercoaster is also very good, but honestly I’m really short and my head gets knocked around a lot. I get off that ride with a headache. Fantasmic is a must-see show; it is SO WELL DONE. Hands-down, this is my favorite park. It was the first Disney park I ever went to, and it is MAGICAL. I love the Disney classics, and this is home to all of them. I seriously freaked out the first time I walked through the Swiss Family Robinson tree-house, it was such a staple movie in my childhood. Since I like EVERYTHING here, it’s hard to pick a few favorites… but among the must-dos are Seven Dwarves Mine Train, Space Mountain, and Peter Pan. 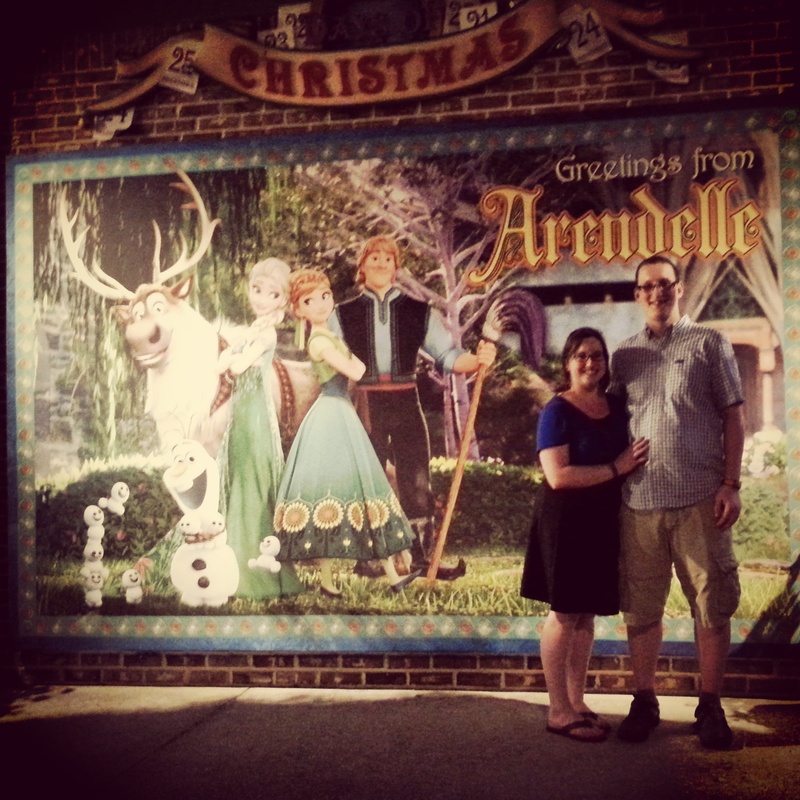 Apart from the alarming absence of Pocahontas, it truly was a magical vacation. Disney World evokes a childlike excitement… I am always in awe as I walk through the different lands, seeing my favorite characters. I hope that I encourage my future children to use their imaginations, and one day I can introduce them to the magical world of Disney; where they see their favorite stories, and their imaginations, come to life.